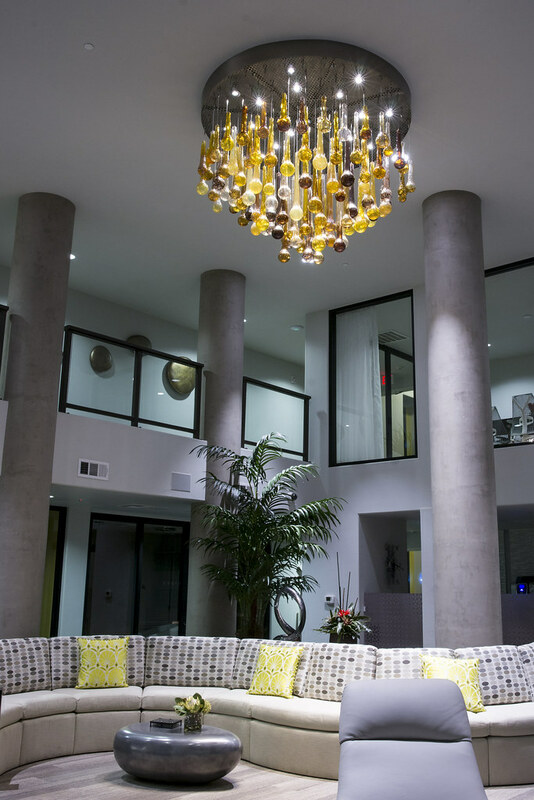 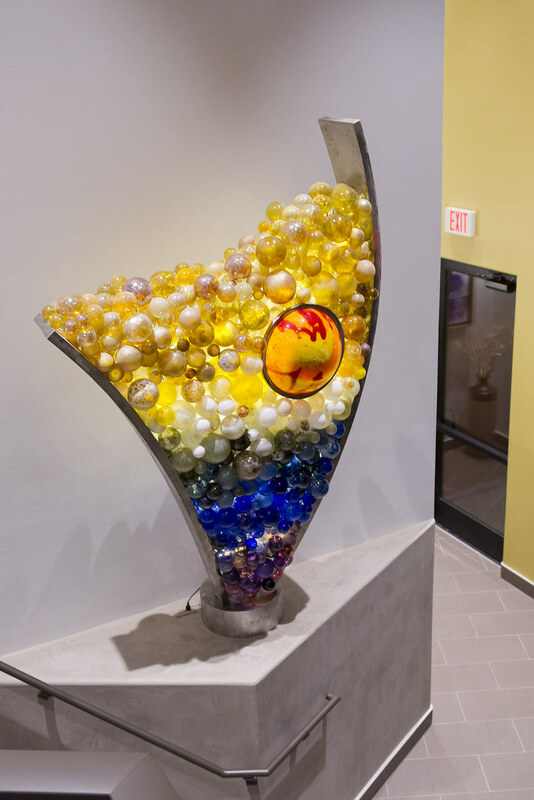 We installed two large sculptures consisting of stainless steel and glass. 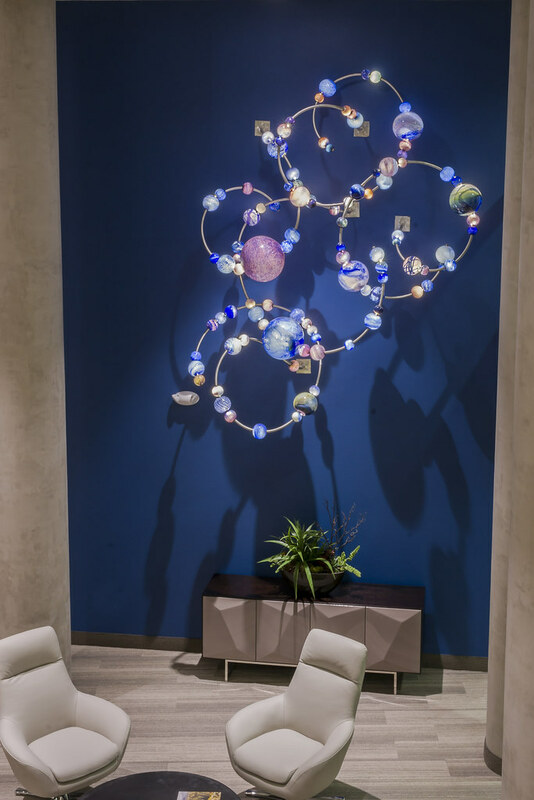 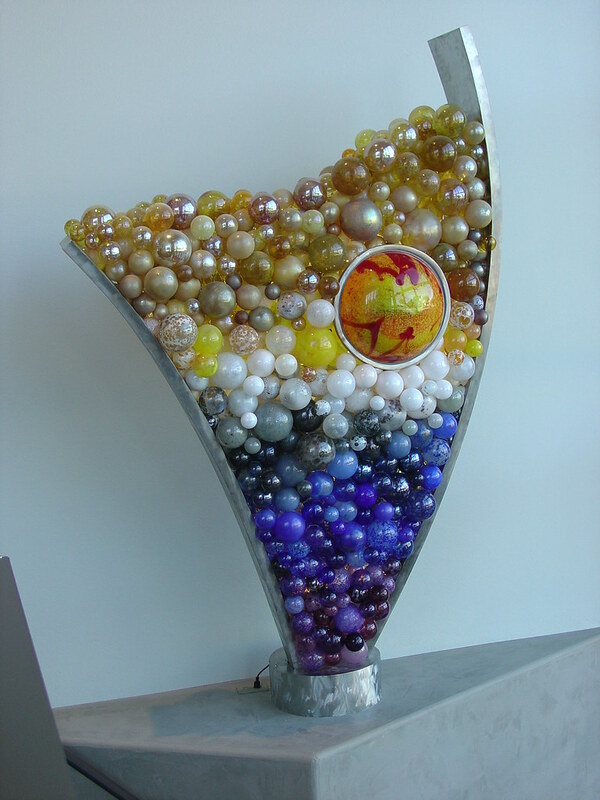 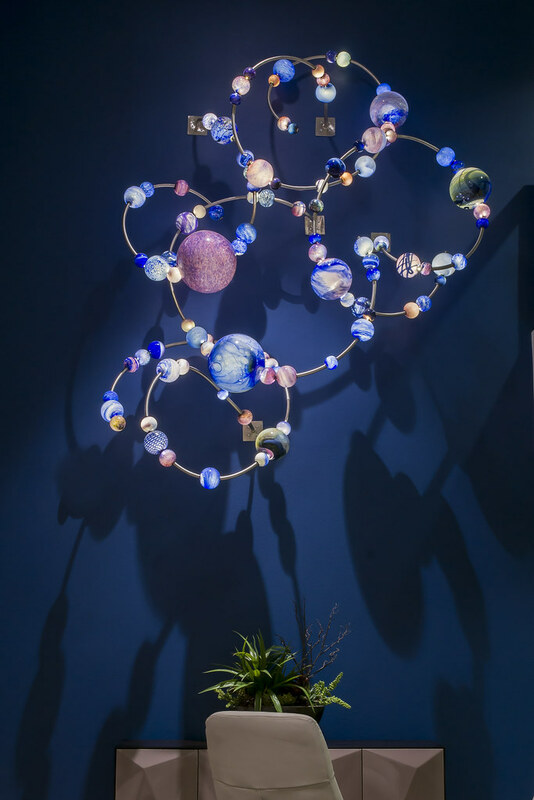 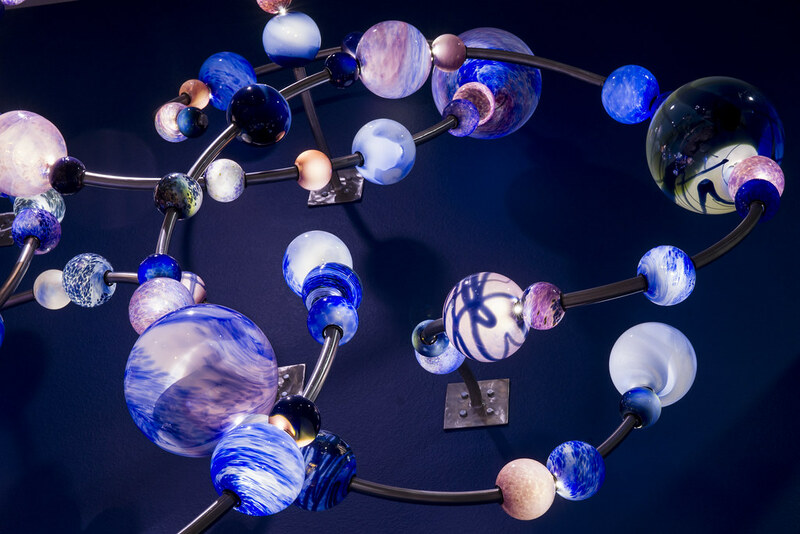 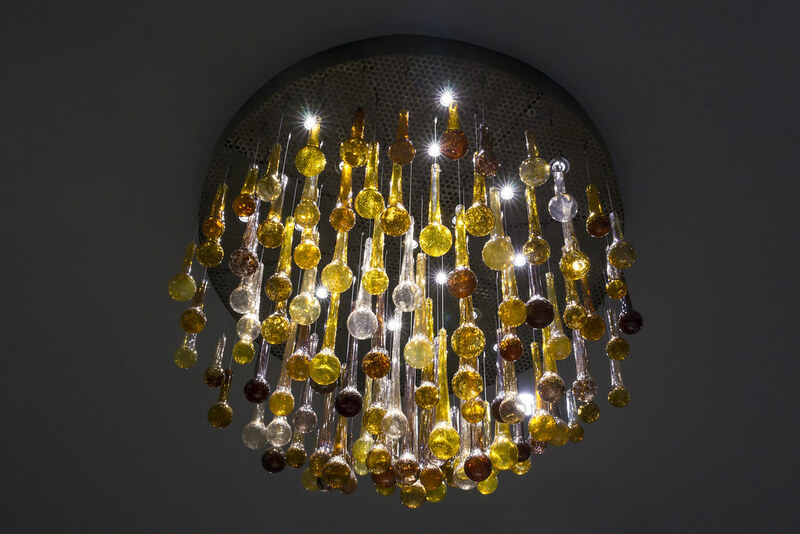 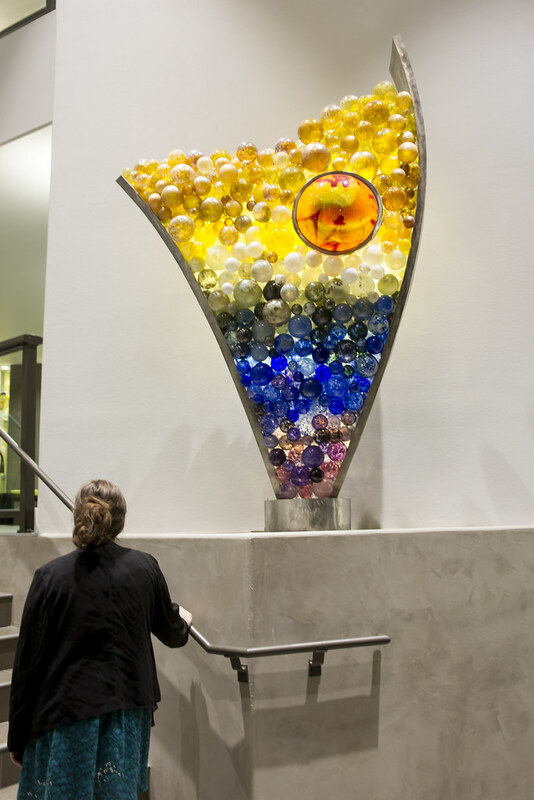 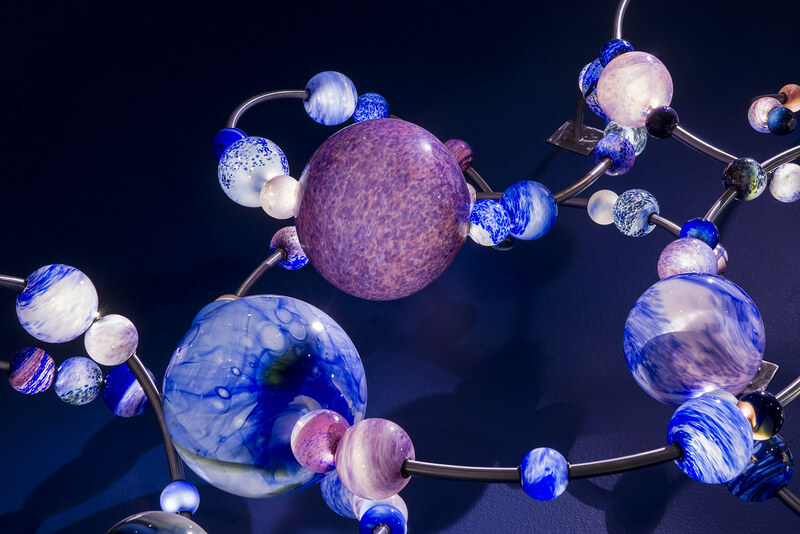 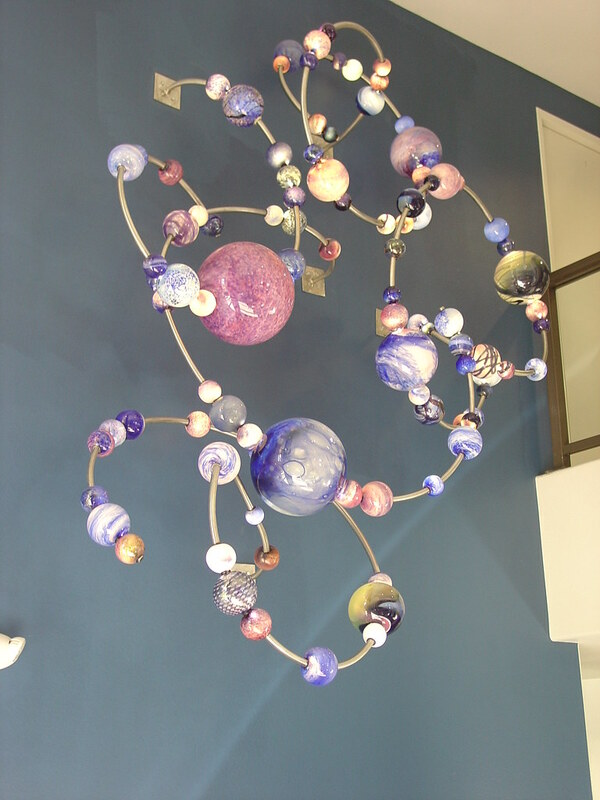 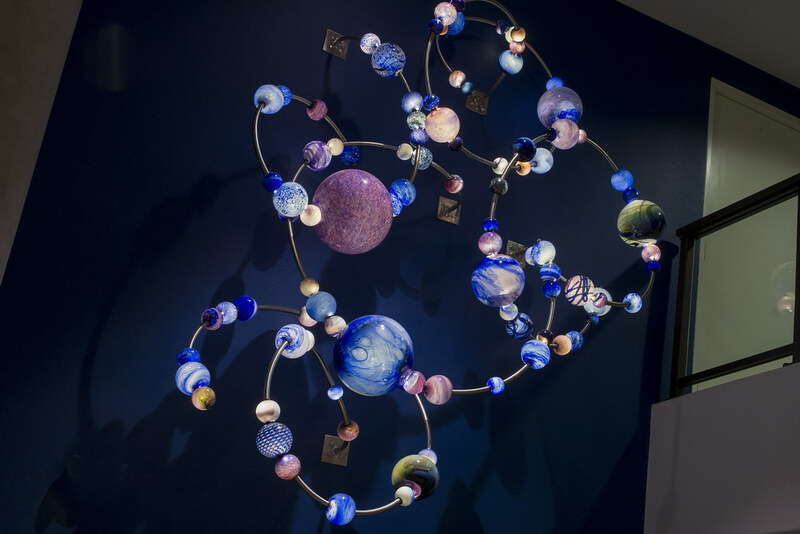 The “molecular” wall piece is 10′ tall and 8″ wide, the floor sculpture is 8′ tall and 6′ wide. 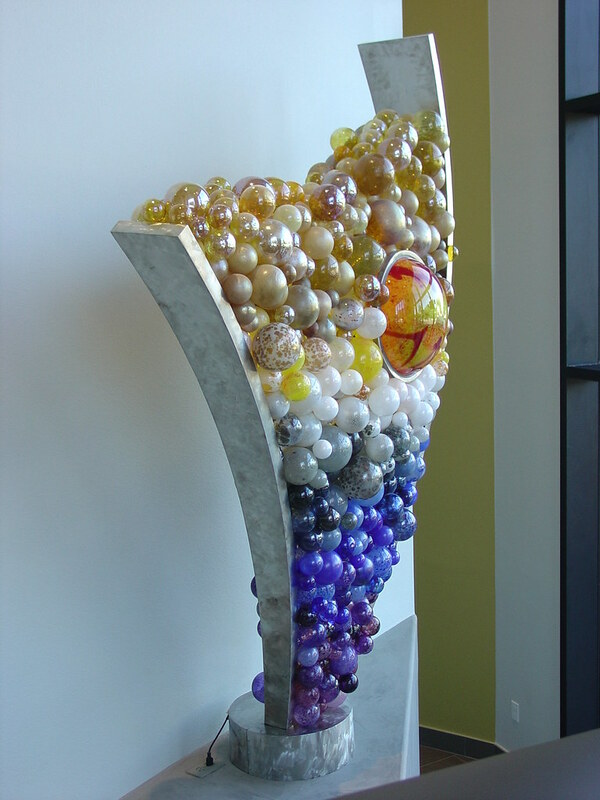 Both pieces are lit from the interior.